Charles Eastlake was a nineteenth century architect, furniture designer, and author. 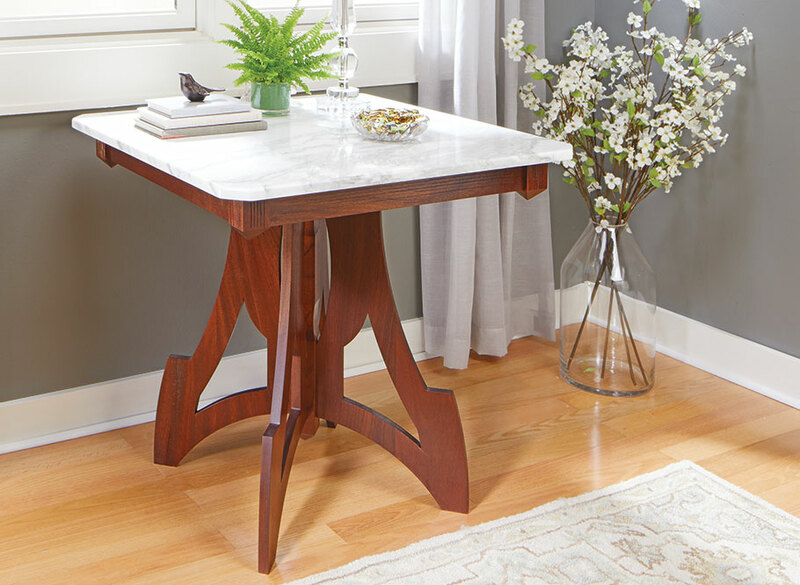 His work is the inspiration behind the table you’re looking at here. 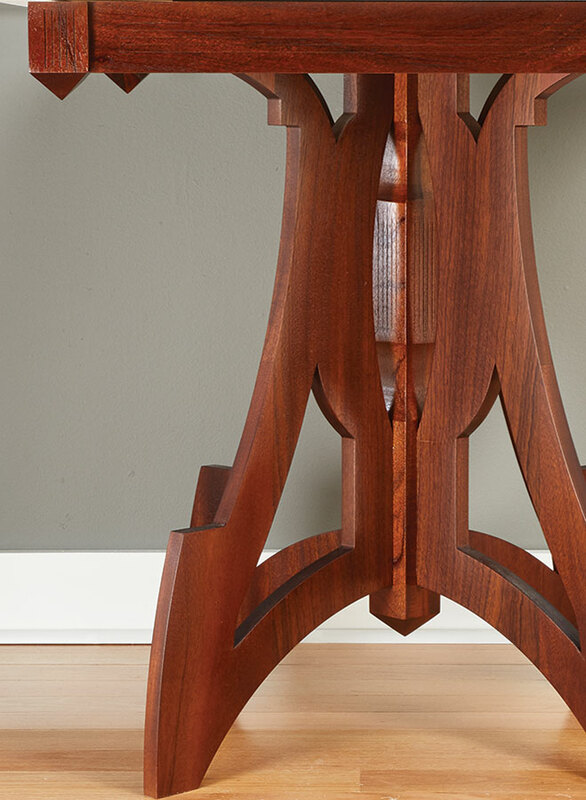 The distinctive look came about between two better-known style periods — the Victorian and the Arts & Crafts movement. Its stylings are not as ornate and complex as the Victorian period. 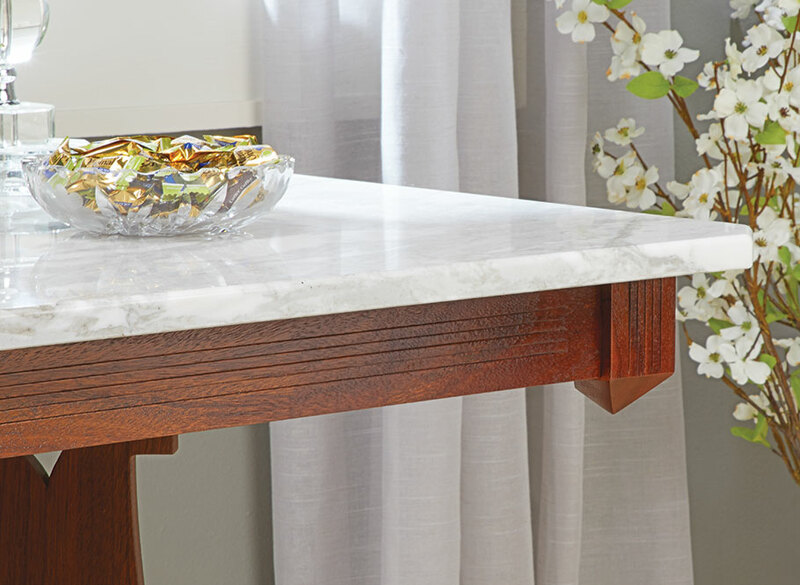 But, as you see in the photo above, the details are more energetic than the subtle profiles of Craftsman furniture. 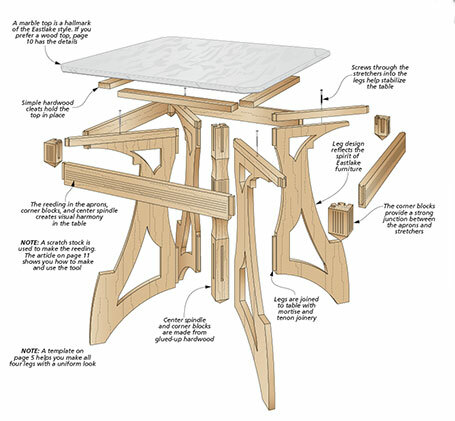 In this plan you’ll find some great woodworking techniques, including using a scratch stock and cutting the shaped legs. 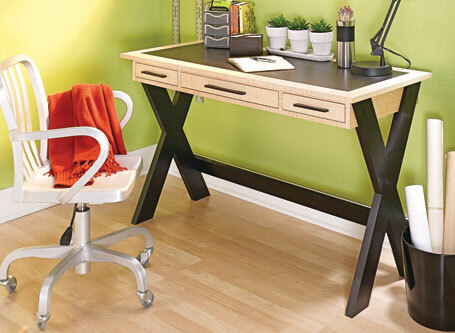 Traditional construction meets modern design in this desk. 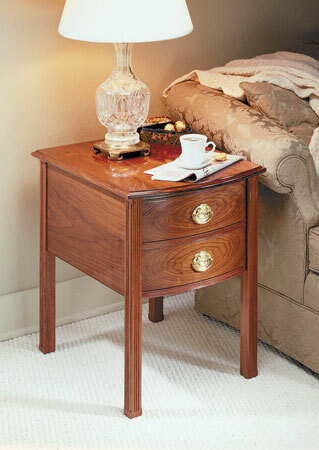 Its narrow profile and unique blend of wood and paint look great in any room. 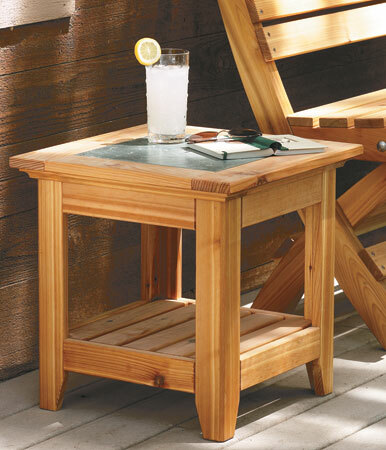 How do you build a sturdy outdoor table without any tricky mortise and tenon joinery? Using pocket screws makes it quick and easy.